School of Health Sciences welcomes Professor Dilly Fung, of University College London, to City, University of London for a lecture on 'Revisiting 'good' education: towards a Connected Curriculum.' The talk will be followed by a reception. How are we, explicitly or tacitly, characterising ‘good’ education, both in the disciplines and across the institution? What are the relationships between our research, professional practice and student education? In this session, we will consider how we can build further on the synergies between our research, our professional fields and the education we offer, both within and across departments, and develop an even more distinctive and effective learning and research community. We will draw on both philosophical underpinnings (Gadamer 2004) and scientific perspectives (Wieman and Gilbert 2015) to take a fresh look at the relationship between education, research and scholarship: what is at the heart of our mission? Is the purpose of higher education to provide individuals with what they need to succeed in a competitive world, or is it advancing ‘the global common good’ (UNESCO 2015)? By integrating research, practice and student education more readily, can we achieve both? Considering issues of academic freedom for both academics and students, we will look at new possibilities for enhancing programmes of study using UCL’s Connected Curriculum initiative as a case study. Connected Curriculum (Fung 2017) takes a distinctive approach to research-based education. Exploring its benefits and some examples of its application at UCL and beyond, we will also consider barriers to educational change, including the need to reward and promote staff who commit time and expertise to student education and education leadership (Fung and Gordon 2016). We will finish with time for questions and comments: how relevant are these issues and approaches for staff and students at City? Dilly Fung is Professor of Higher Education Development and Academic Director of the Arena Centre Research- based Education at University College London. A Principal Fellow of the Higher Education Academy, she is leading a series of ambitious initiatives designed to advance research-based education at UCL, including the innovative Connected Curriculum project, which aims to bring research and education much closer together for both students and for academics. 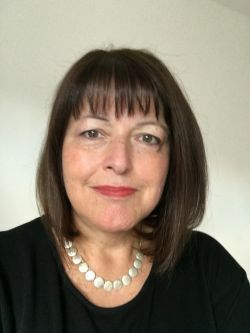 Drawing on her interdisciplinary roots in English, Political Philosophy and Philosophy of Education and on her long teaching career, Dilly is interested in the circle of scholarship that connects research, learning, engagement and leadership (Fung 2016). Her forthcoming, open access monograph (Fung 2017) explores the unity of research and teaching in curriculum design, providing a spectrum of practical applications to programme design within and across the disciplines. Recent work includes an HEA-funded analysis of ways in which job families and career opportunities are changing in research-intensive institutions (Fung and Gordon 2016). Professor Fung was also lead author of a position paper by the League of European Research Universities (LERU) looking at educational excellence in Europe’s leading research-intensive universities (Fung, Besters-Dilger and van der Vaart 2017). She speaks regularly in the UK and internationally on these themes.